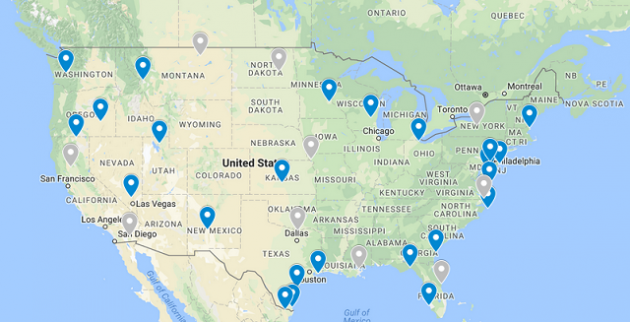 There are more than 550 national wildlife refuges in the United States, with at least one in every state and one within an hour drive of almost every major American city. Many were specifically established for migratory birds and are strategically positioned along one of the four major North American migration flyways. Others were established to protect specific bird species or subspecies. But they primary protect land, an essential but dwindling avian resource. Unlike national parks, national forests, national monuments, and other federal lands which must balance competing interests such as recreation and resource extraction, national wildlife refuges are legally required to be maintained for the preservation of wildlife. As a result, there are excellent birding hotspots in the system. 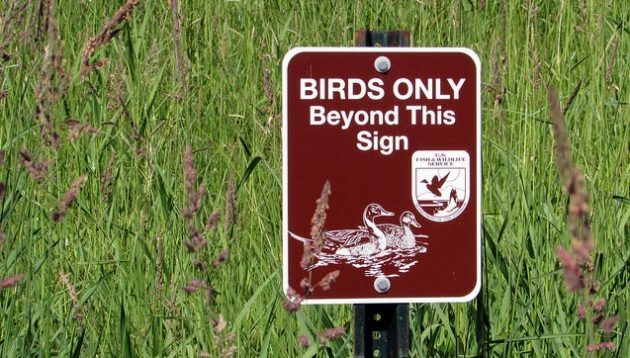 Many refuges have trails, boardwalks, viewing towers, and/or auto routes, and several are involved in birding festivals. Both birds and birders flock to national wildlife refuges. Many were obtained with funds from the sale of Federal Duck Stamps. Trying to choose the “best” refuges for birding is a fool’s errand, as everyone’s criteria are different. Some are great for a specific bird, others for thousands of birds, and others during a particular season. Some just seem to be rarity magnets. Others may be perfect for a free morning on a business trip to Boston, Philadelphia, Minneapolis, or Las Vegas. But even with varied criteria, some locations rise to the top. The following list (in alphabetical order) was developed using a subjective weighing of the following non-exclusive list of criteria: the number of potential species (particularly regional specialities); perceived renown among birders and/or appearance on other top birding sites lists; visitor facilities; species and checklist numbers from eBird (higher is better for both); and a dose of geographic balancing. A Google map (which is also the image at the top of this post) with all 25 locations is here. To learn more about a specific NWR, check out the eBird “Explore a National Wildlife Refuge” feature and review that refuge’s Comprehensive Conservation Plan (CCP). Many of these contain hotspots in the top 100 in the U.S. according to eBird, including: Aransas (368 species); Bosque del Apache (360); Parker River (359); Laguna Atascosa (356); Santa Ana (342); Anahuac (329); Pea Island (326); and Edwin B. Forsythe (319). Virtually all are listed in the National Geographic Guide to Birding Hot Spots of the United States (2006) by Mel White and Paul Lehman, still an excellent resource for the traveling birder more than a decade after publication. Note that this list excludes refuges that would be highly desirable to visit but do not allow public access or are effectively inaccessible (e.g., Midway Atoll NWR, Farallon Islands NWR, etc.) and only includes locations that are technically national wildlife refuges managed by the U.S. Fish & Wildlife Service. For example, Jamaica Bay Wildlife Refuge is part of Gateway National Recreation Area, a unit of the National Park Service. This list also does not include units outside the 50 states (e.g., any of the units in the Caribbean). Feel free to leave comments and suggestions, as this is a subjective list and it is not fixed in stone. But, if proposing an addition, please identify an existing location that would be dropped in favor of the proposed addition. As the only federal lands with a legal mandate to protect wildlife, birders should be at forefront of protecting the National Wildlife Refuge System. One way to support and protect the system is to learn about and visit a refuge, including the top-notch birding locations on this list. Sadly, I have only been to three of those, but I cant agree more about the Billy Frank Jr, Nisqually….it is amazing all year round! I will be there in about three weeks! I have birded 9 of the 25 despite the fact that I have lived outside the US for 18+ years. Not on Facebook, so I can’t comment there, but would just like to say that in Montana, Metcalf, while being a great reserve, owes part of its popularity to being down the road from Missoula, one of the ‘big’ cities in Montana and as a university town, a place where there are more birders per capita than in many other Montana towns. Bowdoin is relatively remote, not near any populations centers, so not a destination for a lazy Sunday, but a place that is visited on its own merits. While a few people live out that way, there aren’t many birders, so that the eBird visits are because people have made a decision to commit a sizable chunk of time to go there. Yeah, a lot of these are close to cities and/or written about extensively in the literature, so that they build their own fame. I’ve always enjoyed Meredosia National Wildlife Refuge in central Illinois- it doesn’t deserve a spot on this list because at most 10 people bird there a month, but it was the nearest one to me and one of my favorite places to bird. It’s unfortunate that people don’t visit more unfamiliar places.